Our team has experience in both residential and commercial decorative concrete projects to provide an aesthetic solution where concrete is necessary. Concrete can be used anywhere: floors, driveways, walkways, patios, and even walls. Why can't concrete look great too? Concrete is also a great cost effective solution for any space. Due to it's versatility, there are endless possibilities and seemingly infinite advantages to providing your space with concrete. Made to fit any shape, any size, and styled to appear however you can imagine, our team is ready to tackle your next project. 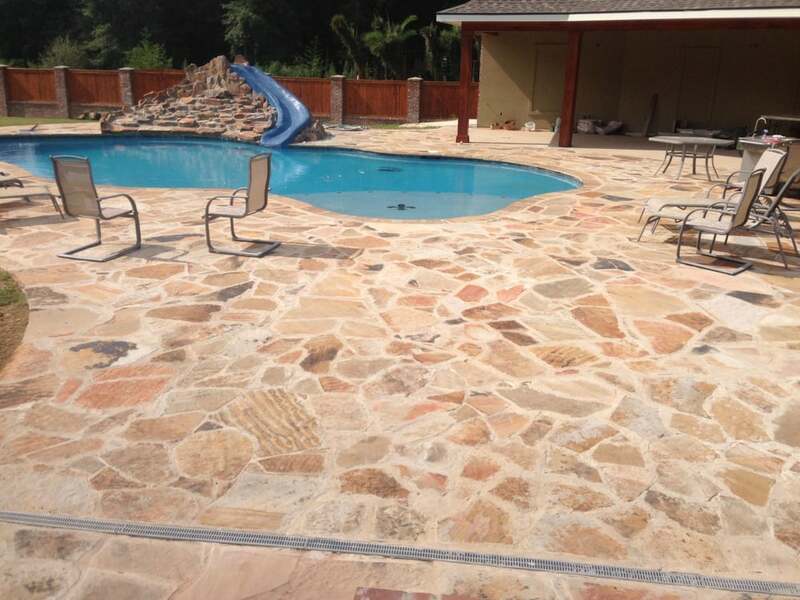 We are decorative concrete contractors and landscaping professionals in Lake Charles LA, Lake Arthur, and all of the surrounding areas...but if you're not sure whether or not we will service your area, simply contact us here to find out more about decorative concrete near Lake Charles LA or call 337-774-2657.